Raise a toast in one the most exotic honeymoon destinations in Asia. 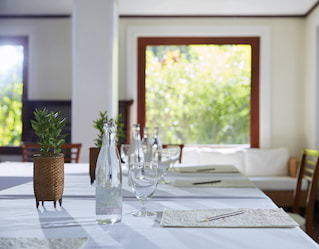 Nestled in the tranquil hills but still just moments from the buzz of Luang Prabang, Belmond La Résidence Phou Vao is a mesmerising venue for meetings and celebrations. Refined menus, high-specification technology and an inspired team of event planners make crafting the perfect party effortless. Mix business with pleasure in a picture-perfect location. Brainstorming leads smoothly to breakthroughs as discussions proceed in fully equipped, library-style meeting rooms. Coffee breaks are served in vibrant breakout spaces. With the agenda accomplished, soak up a spectacular sunset with a glass of champagne in hand, or refresh with a lap in the infinity pool. Whether celebrating a milestone birthday or family reunion, gather your nearest and dearest for a tropical treat. 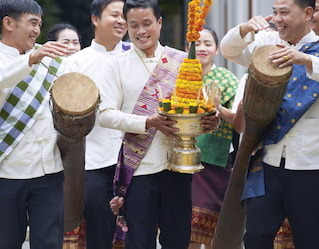 Our expert team will help you plan every detail of your Southeast Asian stay. Relax with a botanical treatment in our award-winning Mekong Spa, or spend the day immersed in Laos culture with a local excursion. Later, savour sumptuous French cuisine. Nightcaps are best enjoyed alfresco, with a view of the stars. 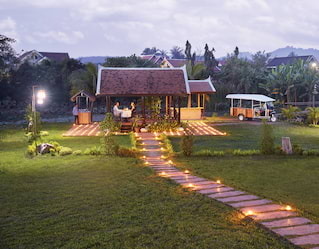 The relaxed pace of Laos life combined with its stunning scenery make it an ideal destination for honeymooners. Cycle through the picturesque streets of Luang Prabang, pausing for fresh croissants. Uncover the secrets of local cuisine with a lively cookery class, then clink glasses on a celebratory sunset cruise. Back at the hotel, indulgent spa treatments, luxurious suites and romantic lantern-lit dinners await.